Republicans unveiled their tax plan in September to mixed reviews. That was to be expected. It hasn’t gotten any better in recent weeks. Americans generally want lower taxes. They also want the Republican Party to do something they promised while begging for votes. Let’s not ask for too much. One called on the Rush Limbaugh Show in late September suggested that people read Federalist No. 21 to understand why taxes should be lowered. Hamilton, this caller said, showed us the light. Limbaugh joked that he rapped it. Either way, here is Hamilton entering another modern debate. There is now an app for that, unfortunately. 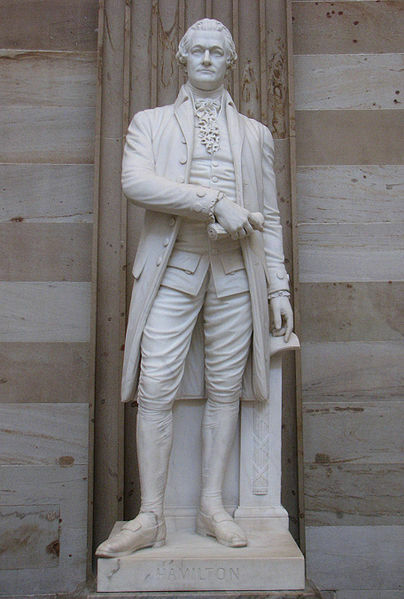 Hamilton proposed in Federalist No. 21 that “indirect” taxes, meaning tariffs, should be used more extensively than direct because direct taxes created substantial problems for an economy. The modern income tax is a direct tax. Except we shouldn’t listen to Hamilton. He didn’t mean it. Less than three years after writing Federalist No. 21, Hamilton turned around and argued for…drumroll…a lengthy list of direct taxes, ostensibly because the country “needed it,” but Hamilton suggested that such taxes would only be used in a time of war. The United States wasn’t at war in 1790. That was Hamilton’s “m.o.” His duplicity knew no bounds. John Taylor of Caroline called him a tyrant as did a number of forward thinking Americans at the time. They could see Hamilton’s constitutional machinations wrecking the fragile fabric of Union. His top down approach to every problem and his penchant for advancing a stronger central authority at the expense of the states were the exact opposite positions he favored while scribbling the Federalist essays, and many could see that Hamilton’s desire to recreate the corruption of the [Rothschild] British constitution would eventually destroy the Union. It wasn’t “state’s rights” that ripped apart the Union. It was Hamiltonian nationalism, the belief that the general government can do anything it wants as long as it is “necessary and proper” for the “general welfare” of the American people, the Constitution be damned. That is the real story of America, but every school child is fed the opposite narrative from the time they enter kindergarten as a little mind of mush. Uncle Sam knows how to indoctrinate kids, and we want more Uncle Sam in education. Doesn’t make sense. With Constitution Day a little over a month ago, Americans should reconsider their Hamilton love. They should first avoid downloading the app. After all, Hamilton’s Constitution, the Constitution he favored in 1787 when he called for unlimited central power or the Constitution he advanced as Secretary of Treasury with expansive “implied powers” was the opposite of the Constitution he sold to the states as primary author of the Federalist essays and in speeches to the New York ratifying convention. And he clearly knew it. Hamilton, for example, knew his “assumption scheme” where the general government would assume the debts of the several states was expressly rejected by the Philadelphia Convention, but he pushed for it anyway. Same with his favorite project, the Bank of the United States. That idea was shot down so thoroughly that no one in Philadelphia in 1787 thought it would be resurrected once the Constitution was ratified. They were wrong. Hamilton argued in Federalist No. 69 that the American presidency would not resemble a king only to push for executive powers while Secretary of Treasury that George III would have recognized. Hamilton was a brilliant, narcissistic, psychopath, a man with a real “American story” of “rags to riches,” but a man who did more to undermine the original understanding of the Constitution—an understanding he helped craft—than anyone in American history. Conservative Americans should stop rapping about Hamilton and start railing against him. If they truly believe in a general government of limited powers, of real “grass roots” politics, then Hamilton is not their guy. There is a reason a leftist political activist like Lin Manuel-Miranda wrote a play about Hamilton. That should give any conservative pause. Miranda didn’t hijack Hamilton’s legacy. He merely lifted the veil. EDITOR’S NOTE: The following is the first in a series of articles giving an introduction to the Federalist Papers, a collection of 85 articles and essays written by Alexander Hamilton, James Madison, and John Jay promoting the ratification of the United States Constitution. Federalist #1 serves as an introduction, setting the stage for the series of papers that will follow. The paper provides an overview of the primary issues involved in the ratification debates, and seeks to establish a negative characterization of the opposition, clearly meant to diminish their objections in the eyes of the public. Hamilton wastes no time trying to establish that ratification of the proposed Constitution is imperative. He employs hyperbole as a rhetorical tactic throughout the Federalist #1, and he jumps right in, asserting that not only does the very existence of the Union depend on establishing the Constitution, but also the future of good government throughout the world. Hamilton moves on to spend the bulk of his first paper trying to create a negative impression of those opposing ratification. The hyperbole continues to flow from his quill pin as he accurately defines the main objection to the proposed Constitution, while simultaneously characterizing opponents’ fears as unreasonable, or even self-serving. ALEXANDER HAMILTON, (JEWISH BORN ALEXANDER LEVINE IN THE WEST INDIES), AS SECRETARY OF THE TREASURY, PUSHED A BANK BILL THROUGH CONGRESS TO ESTABLISH THE FIRST BANK OF THE UNITED STATES. THE FIRST BANK WAS THEN FULLY DOMINATED BY THE ROTHSCHILDS, MONTEFIORES, GOLDSMIDS, MOCATTAS, & OPPENHEIMERS. DOCUMENTS IN THE BRITISH MUSEUM PROVE THAT ALEXANDER HAMILTON RECEIVED PAYMENT FROM THE ROTHSCHILDS FOR HIS DEED IN BINDING THE US GOVERNMENT AND THE STATES TO THE INTERNATIONAL ZIONIST BANKERS. A study of the ratification debates reveals there were objections to many specific constitutional provisions. But almost all of them revolve around one foundational issue: many Americans feared establishing a strong central government at the expense of the states, and worried that it would prove impossible to limit the new government to its delegated powers. Hamilton recognizes the root of his opponents’ objections and seeks to diminish them in the minds of his readers. He calls into question the motivation of his opponents by characterizing concerns about over-expansive federal authority as a lust for personal power. 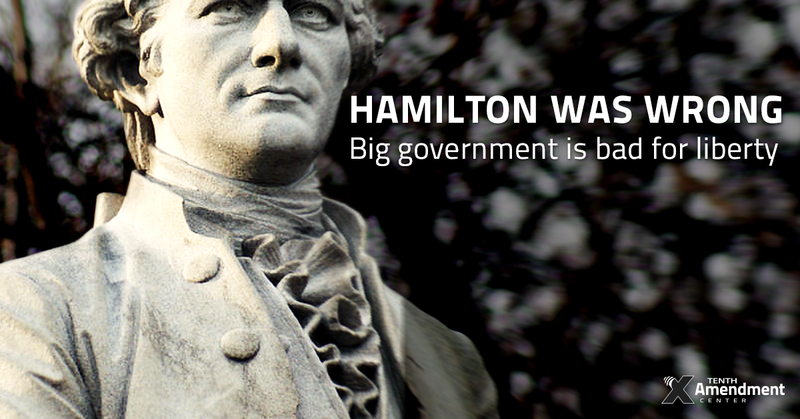 Hamilton reveals his preference for centralized government as he takes on the notion that the national government proposed by the Constitution could become too powerful and devolve into tyranny. He argues that anemic and inefficient governance, like that under the Articles of Confederation, poses a far greater threat to liberty. Hamilton then contrasts the unreasonable nature of his opponents with his own fair-mindedness through a disclaimer, making it clear he supports the Constitution. After listing the prime arguments against the constitution he intends to address, Hamilton concludes by returning to the subject he opened with: the imperative need to ratify the Constitution, arguing that without it, the Union will cease to exist, and indeed some opponents hope for just that outcome. President Andrew Jackson Removed The Foreign Owned Central Bank. PRESIDENT ANDREW JACKSON BEATS THE ZIONISTS!